Digital textile printing is still considered by many to be “the next big thing” in digital printing and with some of the highest growth figures in the industry digital textile printing continues to offer opportunities to those looking to grow. With continued development comes uncertainty and mixed messages for those wanting a clear picture of what is really happening. What is the true growth within the market? What is the scope of digital textile printing in the future? What is really feasible today for printers and designers? Come and find out from WTiN experts John Scrimshaw, Tansy Fall and Mutlu Chaouch Orozco. 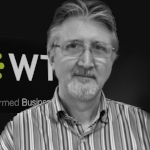 John Scrimshaw is Head of Content at World Textile Information Network (WTiN), with oversight of the company’s entire portfolio of B2B textile industry magazines and online information services. He was Editor of Digital Textile magazine from its launch in 2003 until the end of 2016, when he stepped back from direct leadership of the publication to devote more energy to WTiN’s expanding series of market intelligence services, which include WTiN Intelligence: Digital Textiles. He remains editor of International Dyer magazine, which has a 130-year publishing history and is the only international B2B journal that focuses solely on textile coloration and chemical finishing.